Many people prefer to invest their money on gold either in the form of golden jewelry or as coin or bar. You can either buy your gold from any of your neighborhood shop or you can also buy from online. If you prefer to buy gold bars then it may cost you less as compared to buying gold jewelry or even gold coin. However, before you buy them following are few things that you need to keep in mind. While buying any gold bar, it is important to know its purity. Purity is generally indicated by its karats. Gold is available in 24, 22 and 18 karats where 24 is the purest form of gold. Price will also vary as per the purity. It is also important to know from which refinery the gold bar has been refined. You can do research about the refinery of your country that offers highest level of purity. While buying, you must also enquire about the tolerance level of purity and weight. Some bar may have tolerance in positive or negative side while some are with zero tolerance. Fineness is also another way of expressing the purity of the precious metal that you are buying. For gold jewelry it is important to know the fineness of the jewelry item. Choosing to invest at lower denomination can help to maintain liquidity if you need it. Prefer gold bars having lower denominations. You can get denomination of any gold bar in 5gm and also in 10g, 50g or 100g and sometimes even up 1 kg too. The price of any higher denomination may be less because it may command lesser premium. There is benchmark followed while buying gold from online or any shop and that is to check for Hallmark certification. For you it will be imperative to ensure the gold that you buy is from Hallmarked jeweler. In case if the gold bar has been packaged while buying it from any online source then better you let it remain within the package instead of taking it out. 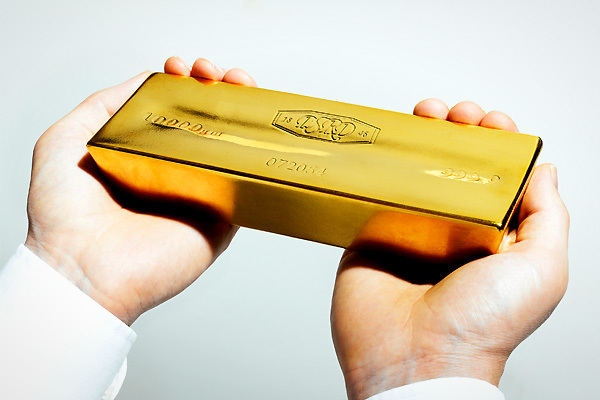 Keeping your packaging intact will help you to maintain the purity of your gold bar. While buying any gold bar particularly from any online source, it is important that you check their return or exchange policy. The exchange policy for gold are usually having terms and conditions which may be stricter as compared to buying other items online.